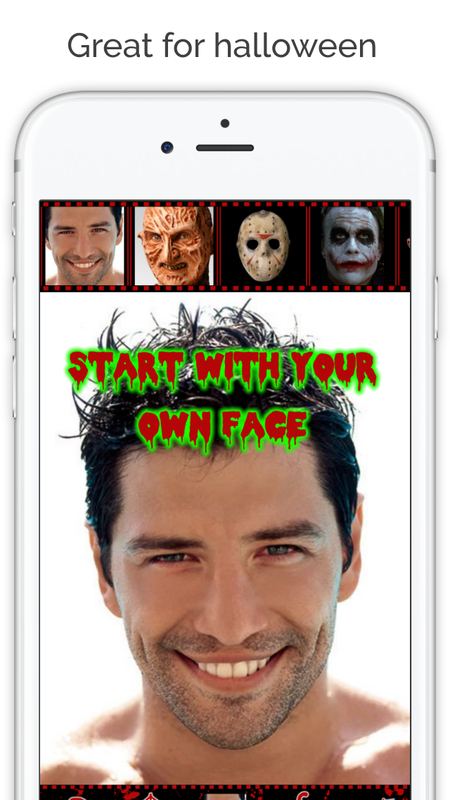 Scary Face Maker Booth is a tool that allows to makeover your face by blending different Halloween faces. 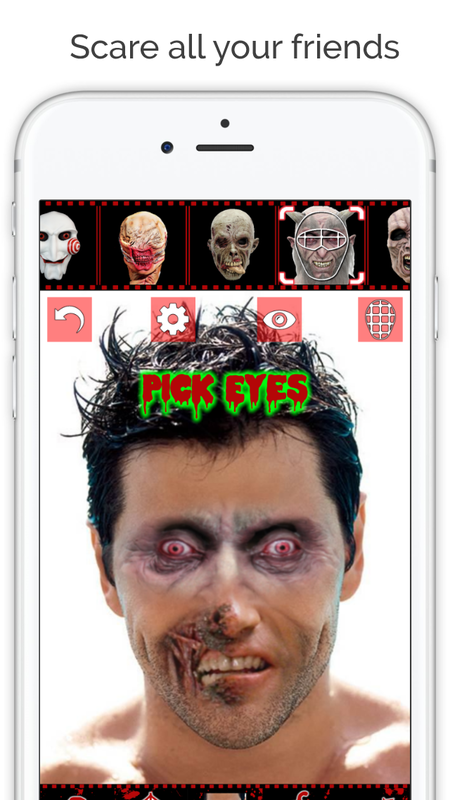 The tool gives you a set of overlay masks that allows you to blend different parts of the Horror faces to create an almost unlimited set of scary/funny/crazy/ horror photos. You can also face swap your own face into other scary photos. You can then share photos with your friends. Mix and match facial feature to make "New People"